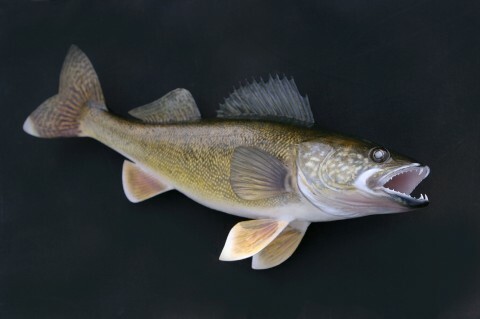 Walleye is one of the most delicious fishes there are. The flesh has no “fishy” odor once cooked and is a taste treat you have to experience to appreciate. Here we go with a couple of recipes to do your fish right! Walleye fillets, cleaned. About 2 pounds. Marinade. Lawry’s makes a good one. In a Ziploc baggie or a container of some sort, put the walleye fillets and the marinade mixture. Let sit for 30 minutes or so in the fridge. Take the walleye out and drain. Season with seasoned salt and lemon pepper to your personal taste. If you use a grill, spray the grill top with a non-stick spray. Trust me, you’ll thank me later. Alternatively, you could just put it in the broiler. Either way, cook for about 5 minutes on each side or until the fish is flakey. Melt some butter in a small pan. Take off of the fire and add the horseradish. Cover the tops of the fish with this mixture. Decorate with the minced dill. Makes 6 deliciously outstanding servings. Oven needs to be 350 degrees Fahrenheit. In a baking pan, put the walleye. Cover the fish evenly with diced onion and cheese. In a bowl, mix sour cream and soup together. Stir well and spoon onto the fish. Bake for about a half hour and serve 4 of your best friends the best walleye they will ever have. If they weren’t your friends before, they will be now! 12 slices party bread. Rye if you can get it. Mix fish, kraut, dill pickles, mayo, and horseradish in a bowl and stir until mixed well. Divide the mixture on half of the bread slices. Add the cheese and top with remainder of bread. In a skillet, melt the margarine. Grill the sandwiches until golden brown on each side. Can be served with your choice of chips, fries, or condiments and an ice cold brew. Perhaps with some fava beans and a nice Chianti. Thank you for trying out our Walleye recipes. If you have other Walleye recipes that you would like to share with the world, please contact us with the recipe.